You didn’t think I’d let my Moms birthday go by without a cake, did you? I usually decide on a type of cake myself, but this time I decided to ask my mom what she wanted. She said chocolate, chocolate mocha. So I got to work looking for the perfect recipe. The perfect recipe turned out not to exist, but I was inspired by two chocolate truffle cake recipes, one from Food and Wine and the other from Anna Olson. I used Anna’s cake recipe so that the cake would have some coffee flavour, and I used the ganache filling from the Food and Wine recipe. I added espresso powder to the dark chocolate layer, and kahlua to one of the white chocolate layers. Unfortunately I don’t think I used enough coffee, the chocolate flavour kind of took over. Despite not being very mocha-ey, the cake was delicious. Before I get to the recipe, I have a blog award to share. Alina at Russian Season was kind enough to give me the Stylish Blogger Award. Alina’s site is full of great Eastern European dishes, if you haven’t already you should definitely visit her site. So I’m giving the award right back to her and to these blogs I’ve recently discovered. Make the cake: Preheat the oven to 350 and grease a 15 by 12 inch baking sheet. In a small bowl, pour the hot coffee over the chocolate. Stir until the chocolate has melted then set aside. Sift sugar, flour, cocoa, baking powder, baking soda and salt. In a separate bowl, beat eggs on high-speed for 1 minute. Slowly add the oil, buttermilk and vanilla. Alternate adding the flour and coffee mixture to the eggs. Taste the batter, it’s like pudding. Pour the batter into the prepared pan, bake for 25 to 30 minutes then let cool completely. Make the chocolate ganache. Heat the cream until small bubbles start to appear. In a small bowl pour over the chocolate and stir until the chocolate has completely melted and is shiny. Chill for 1 hour. Make the white chocolate Kahlua ganache: Melt the white chocolate over a double boiler. Heat the cream and butter until small bubbles appear then pour into the melted chocolate. Stir until completely combined. Stir in the Kahlua. Chill for 1 hour. Make the white chocolate ganache: Melt the white chocolate over a double boiler. Heat the cream and butter until small bubbles appear then pour into the melted chocolate. Stir until completely combined. Chill for 1 hour. Assemble the cake: Slice the cake into 4 equal parts. On the first layer spread the chocolate ganache, reserving some ganache for the top of the cake. Top with another layer of cake. Spread the white chocolate Kahlua ganache on the cake. Top with the third layer of cake, and spread the white chocolate ganache. Top with the final layer of cake and ice with the remaining ganache. Let the cake set for at least 1 hour. When serving slice with a hot knife. This is great piece of cake.. beautiful! ….and Congrats on the award! I’d be very happy to have this as my birthday cake. Who could resist a cake with that name! YUM…it looks incredible! Thank you so much, you are so sweet! I’d be okay if you wanted to make that cake for my birthday! Gorgeous cake! The sponge looks heavenly. This looks do decedant! Heaven on a plate! Decadent and Wonderful looking Truffle Cake! What a beautiful and delicious looking cake! 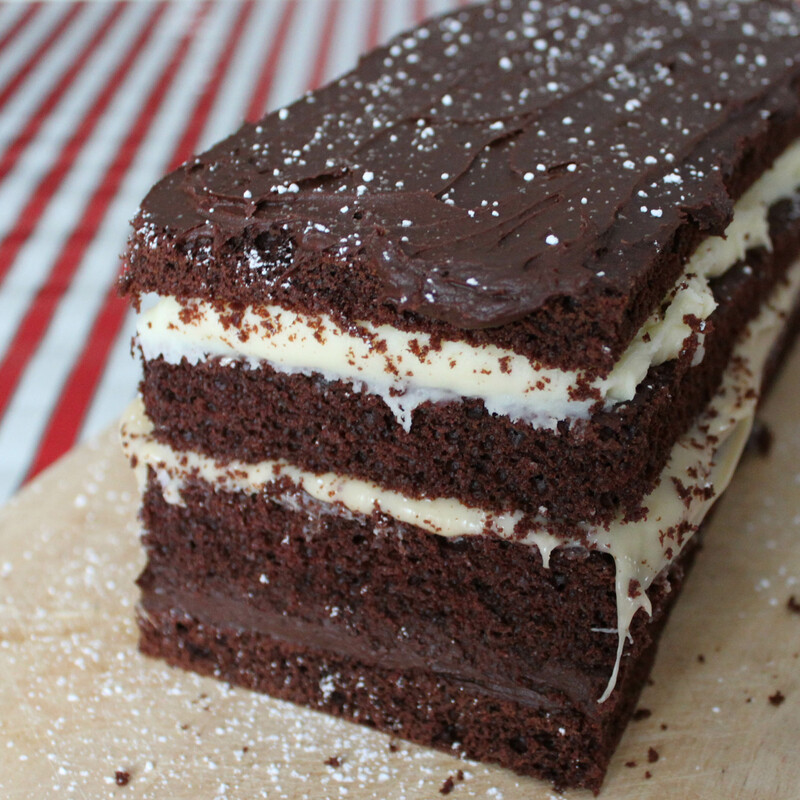 Lots of layers of deliciousness! 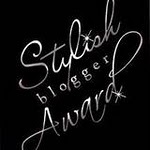 Congratulations on your award- you have a stylish and lovely blog indeed! Thanks for the blog award! I think I’ll make myself some of this cake to celebrate :) Looks delicious, I love all the different fillings. Fabulous birthday cake! This is just sinful. The perfect solution to my chocolate cravings. Wow! looks at the layers of chocolate making me drooling non stop. Congrats on your award and so sweet of you making cake for your mum. Wow. that is…epic. and tasty looking. Okay, this cake totally blows my mind, it looks amazing. All of those layers! I just want to dive right in. And thank you SO much for an award, I am so flattered. I love your blog so if you like mine too, I am honored. OMG chocolate!!!! I always love chocolate. this cake looks unbelievable, yum! Hi there, simply bceame aware of your blog through Google, and located that it’s really informative. I’m going to be careful for brussels. I will be grateful when you proceed this in future. Lots of people will probably be benefited from your writing. Cheers!